The nominees were confused, angry and quite late. 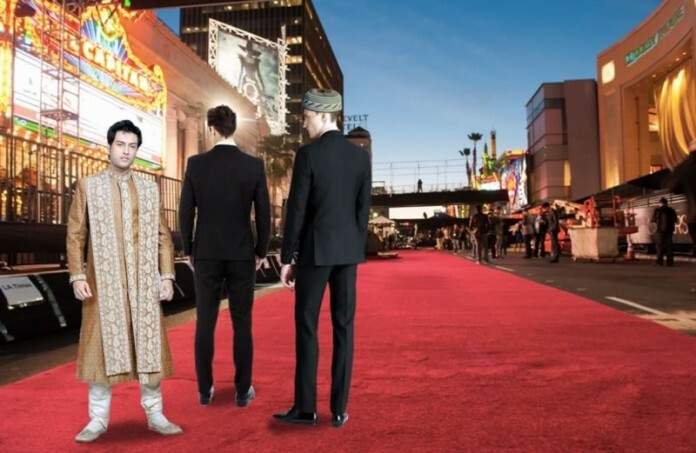 HOLLYWOOD, CA – According to scattered reports, a group of tardy Muslim Oscar nominees just arrived at the Dolby Theater. They’re gathered in an empty area on the red carpet and struggling to find the correct direction in which to pray the traditional Maghrib sunset prayer. The three erupted into a heated debate and one lost wudu during the scuffle. He was spotted seeking dirt to make tayammum. The trio was nominated for a technical award, which they lost during an unaired pre-show event, and are unaware they’re not invited to the primetime event.